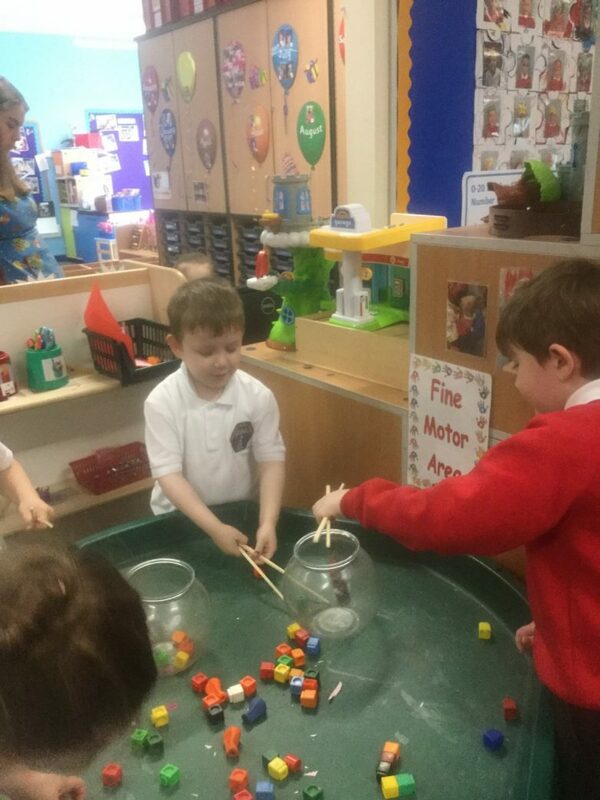 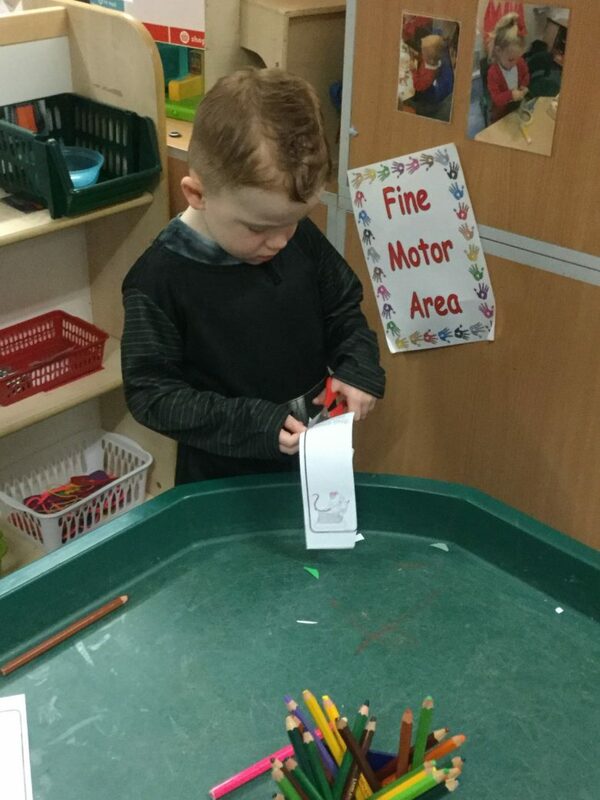 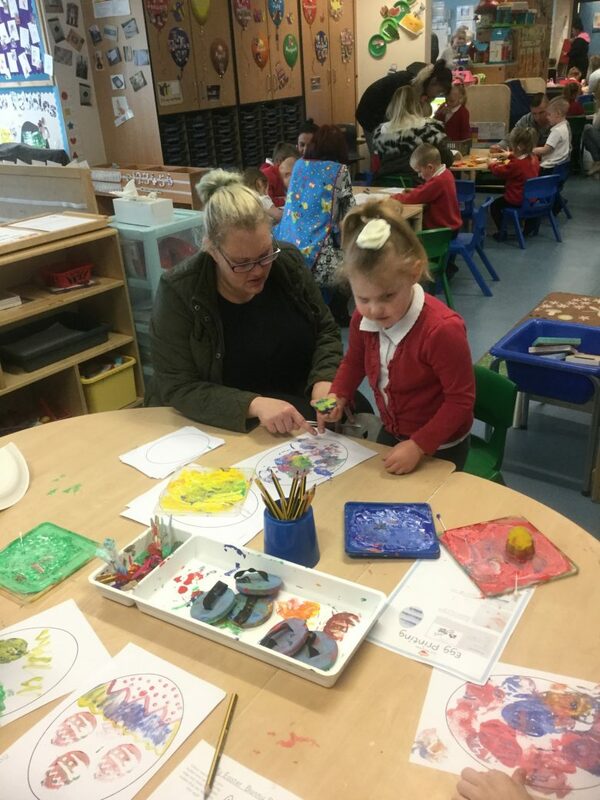 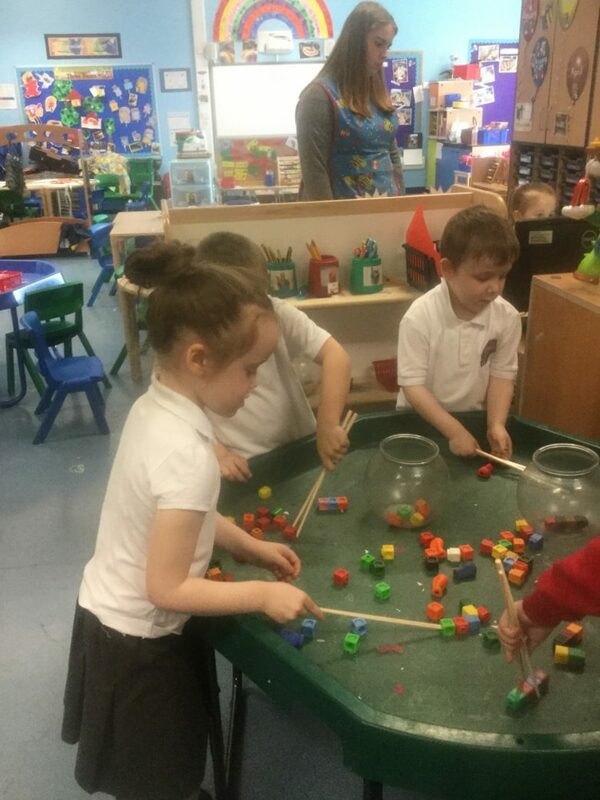 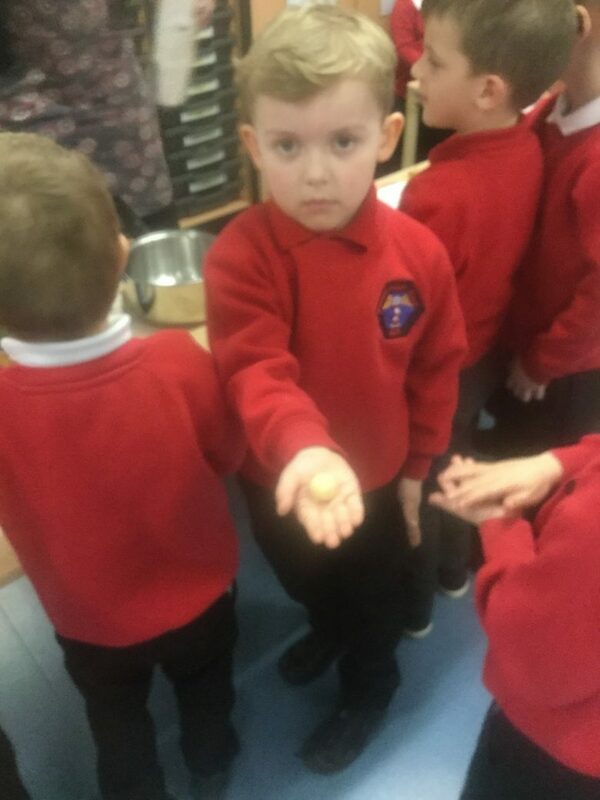 Our Reception Classes are Starfish and Seahorses. 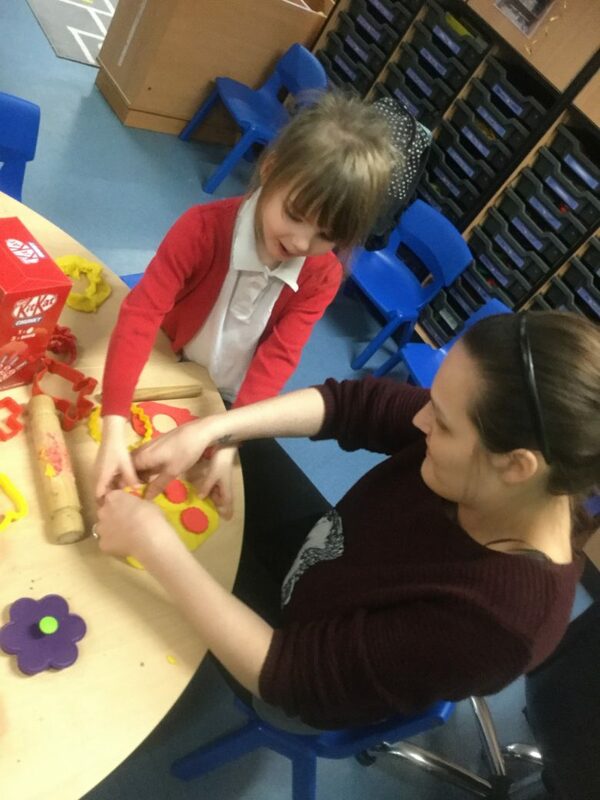 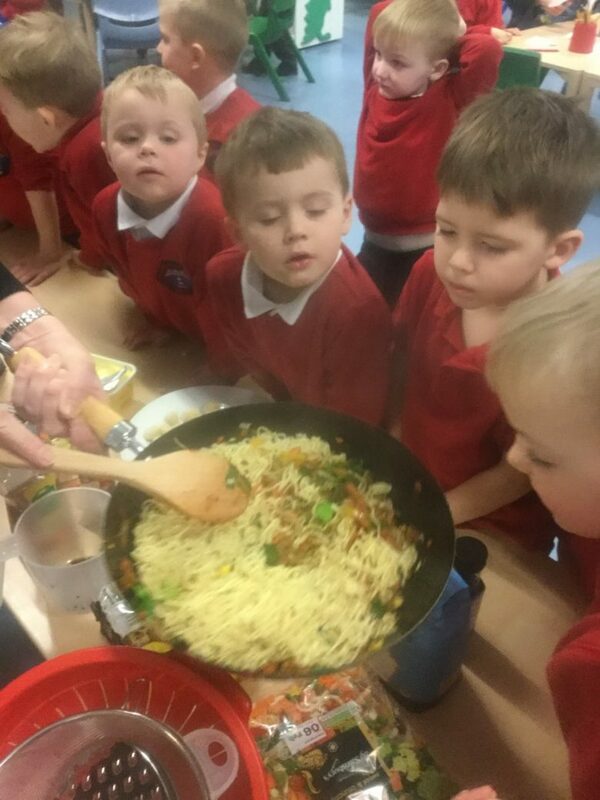 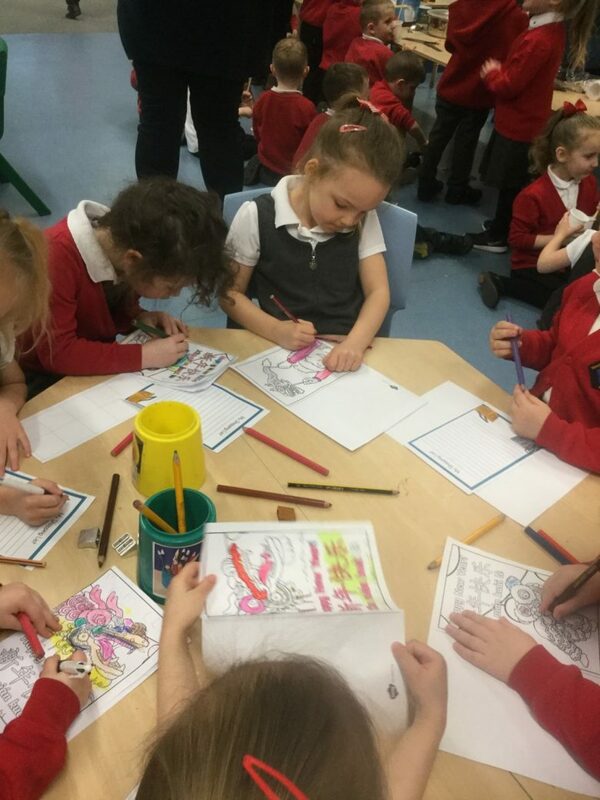 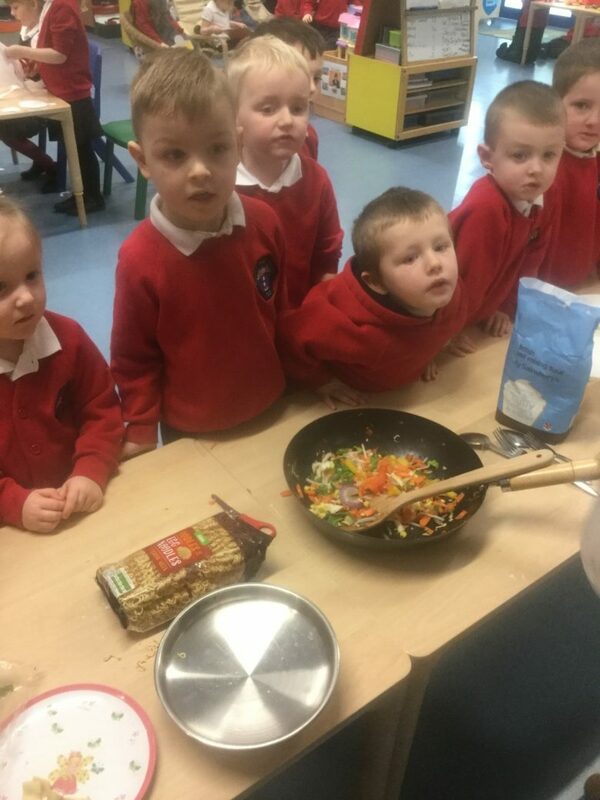 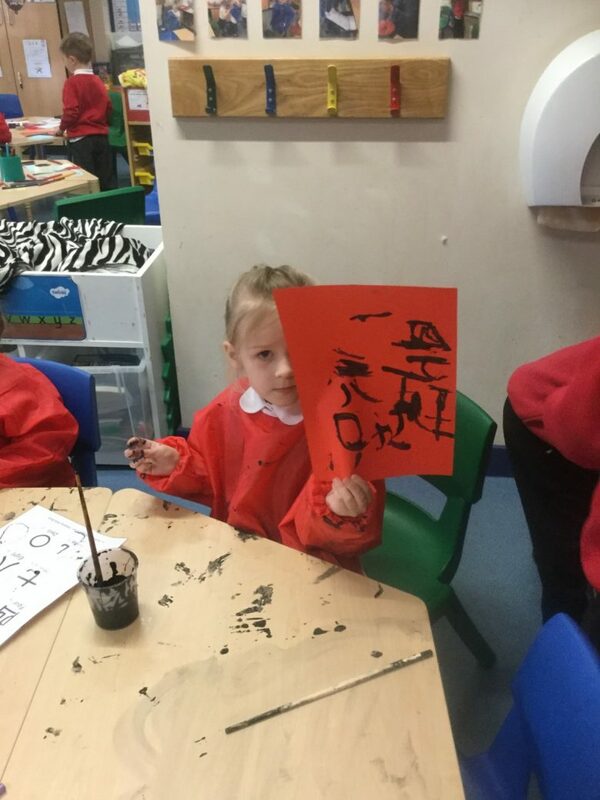 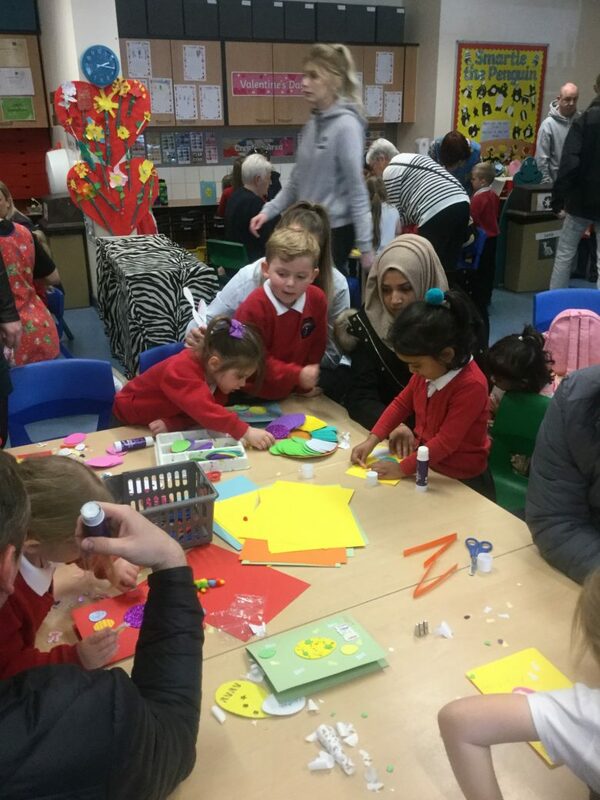 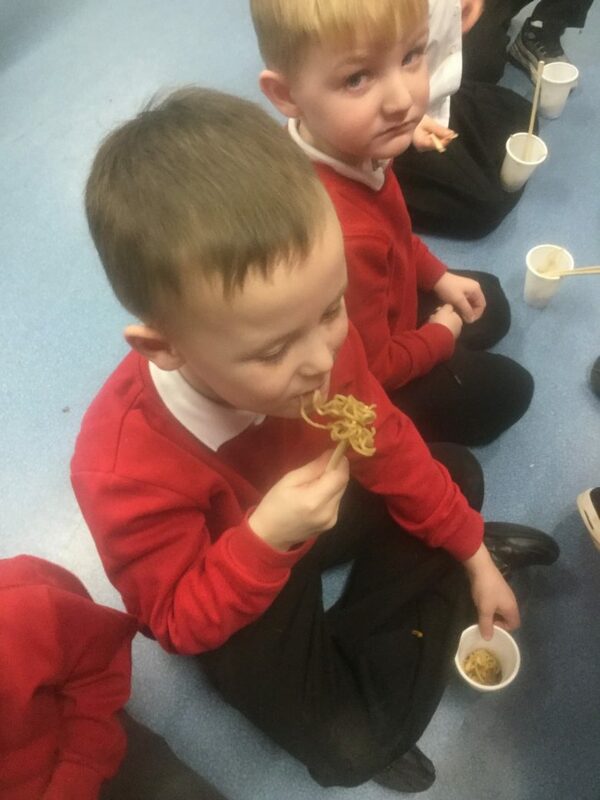 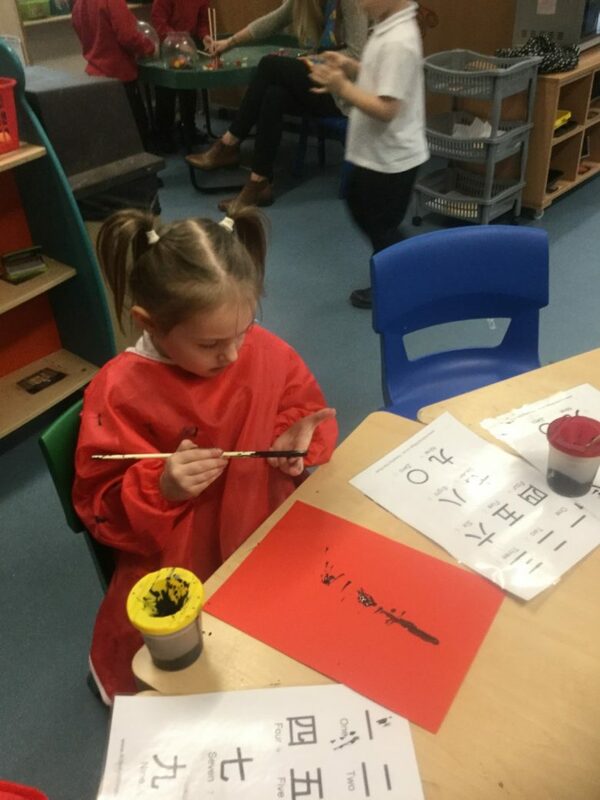 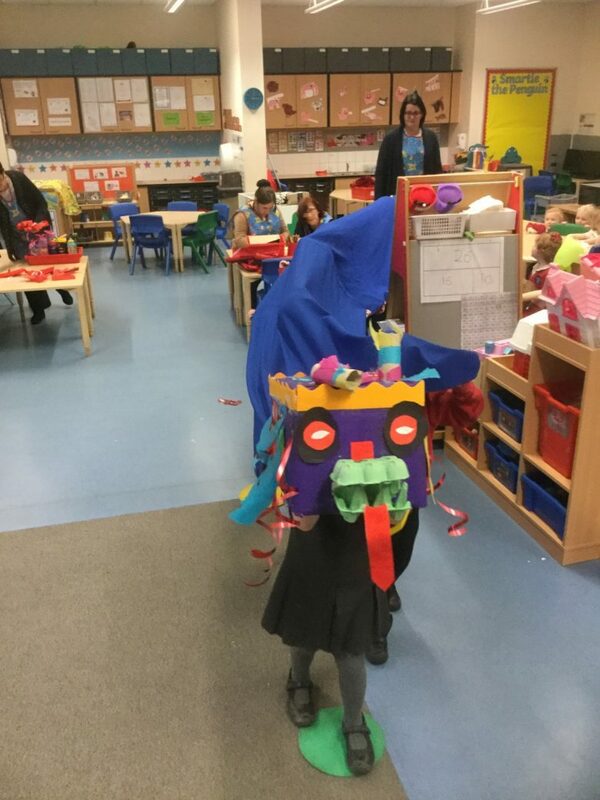 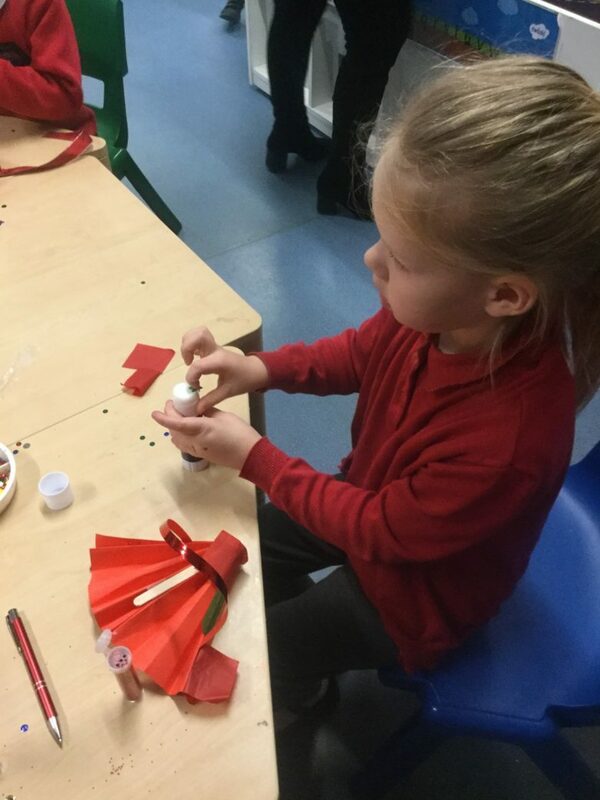 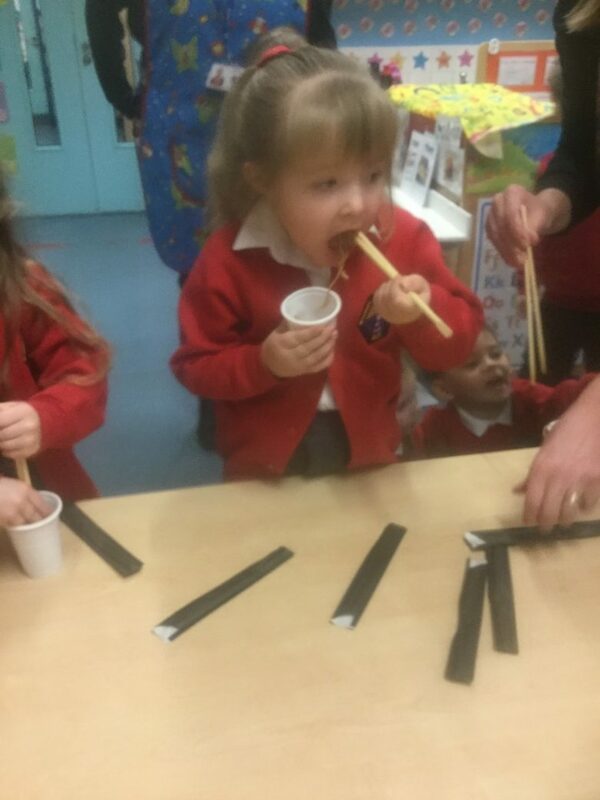 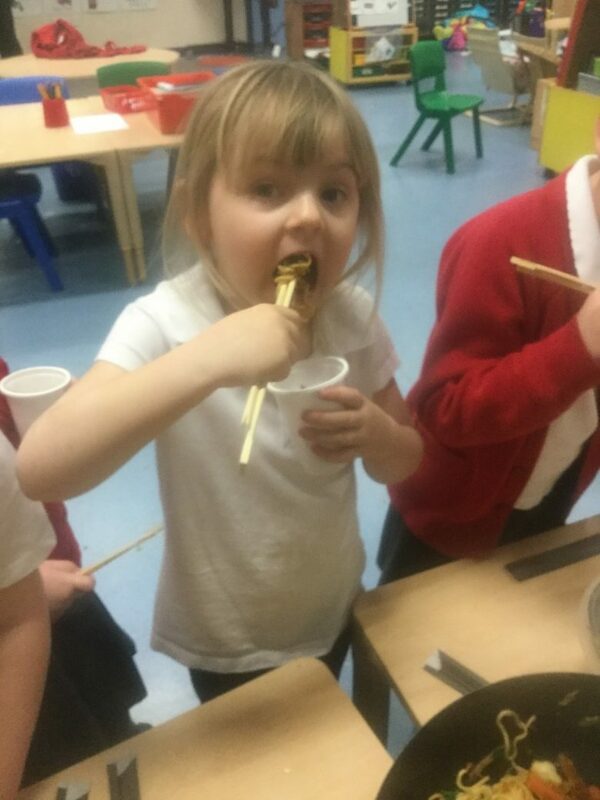 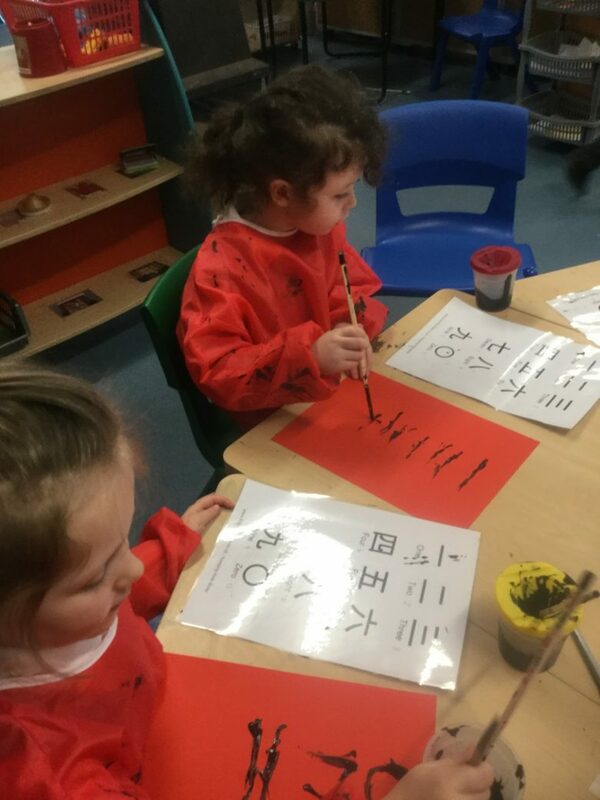 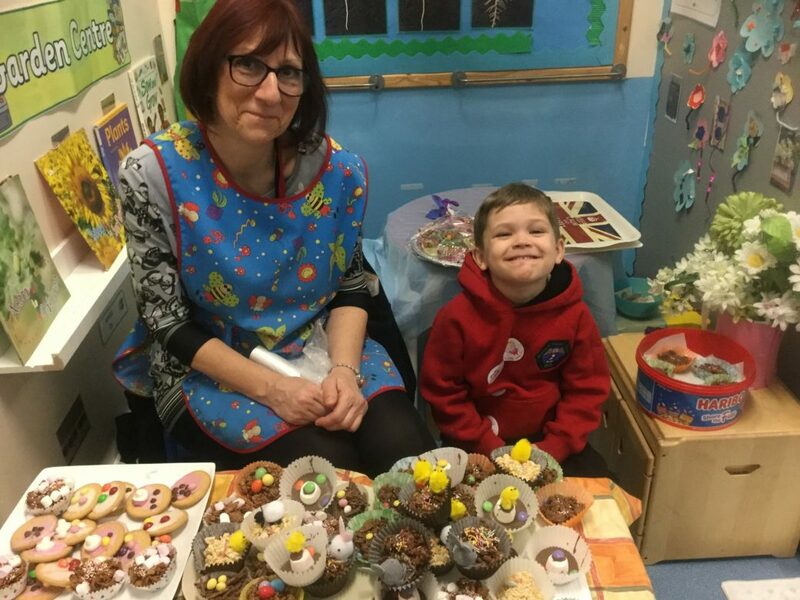 Last week in Reception, we celebrated Chinese New Year. 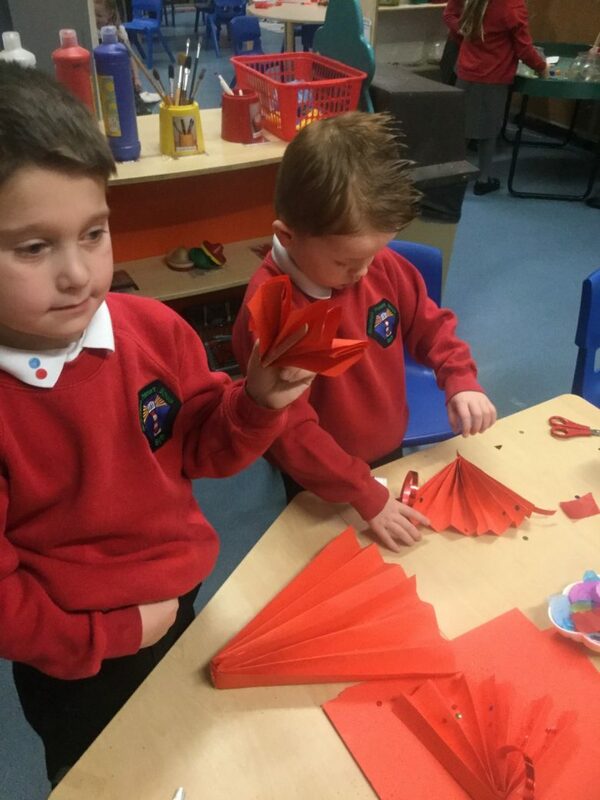 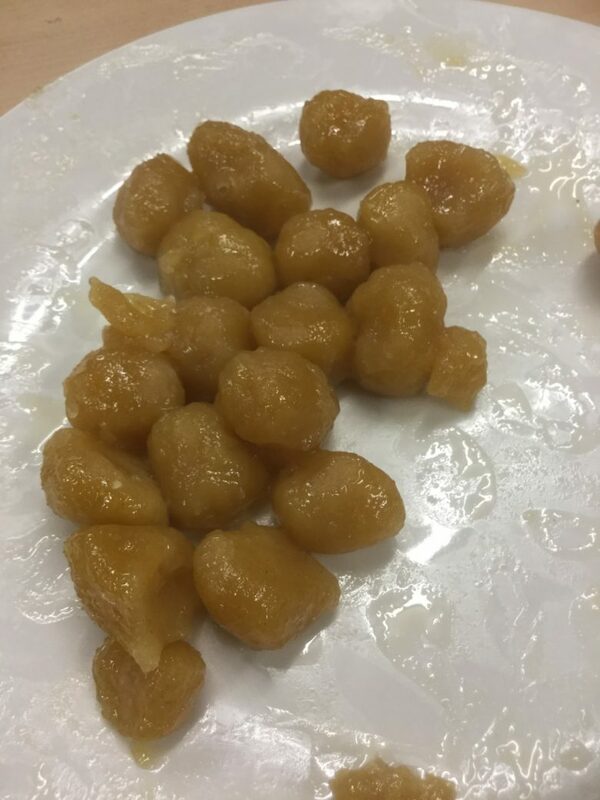 To introduce the topic, we watched some video clips online and found out how children prepare for and celebrate Chinese New Year. 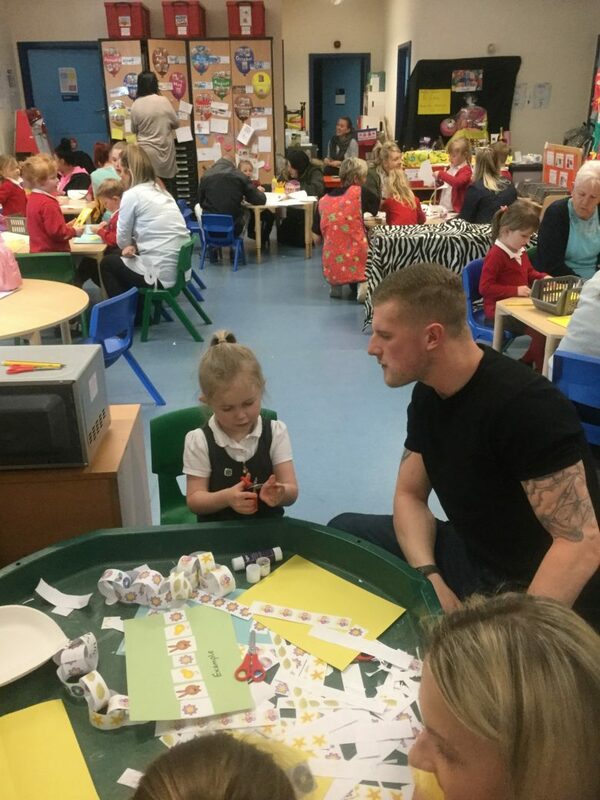 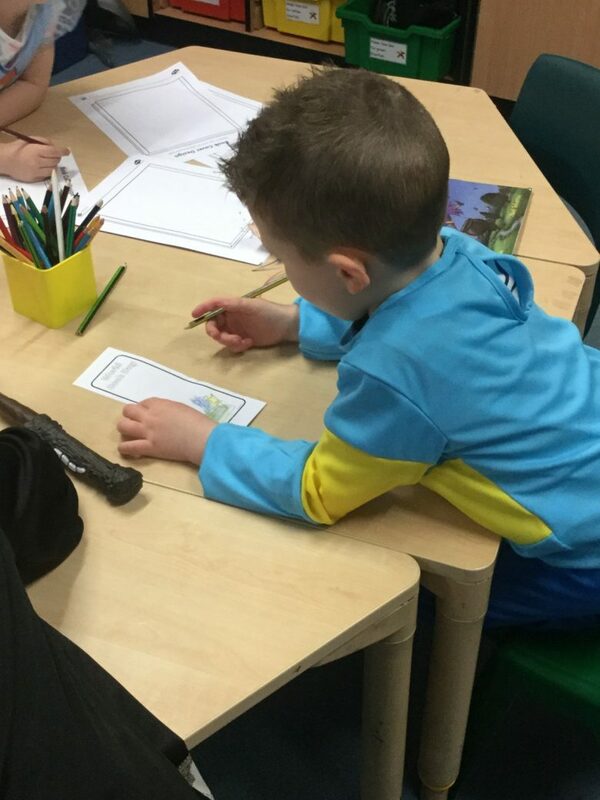 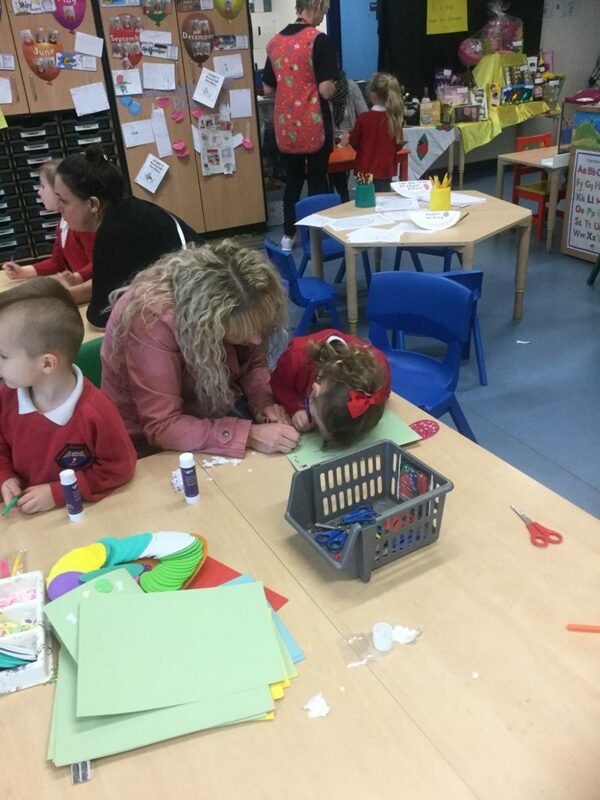 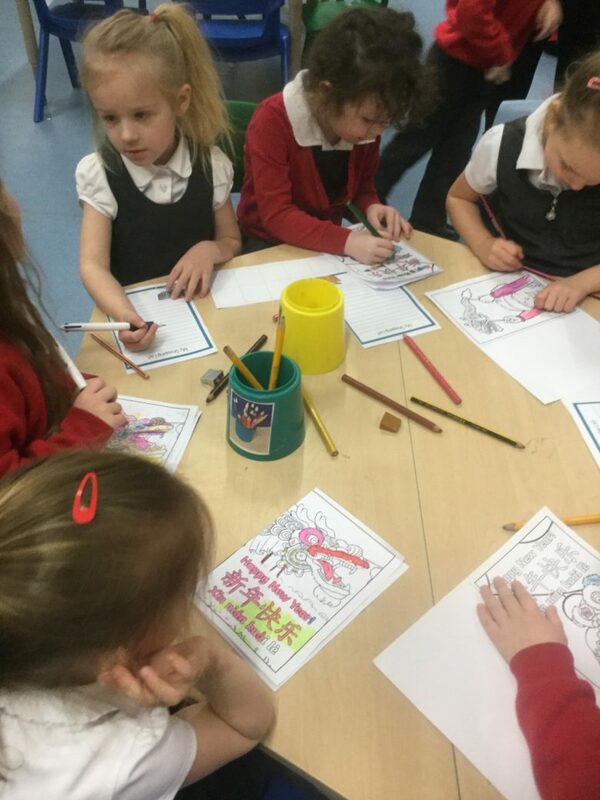 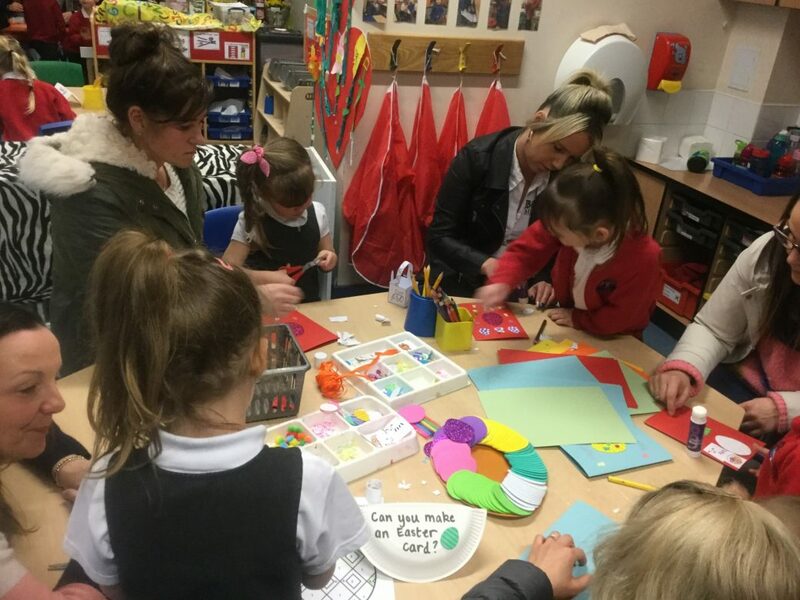 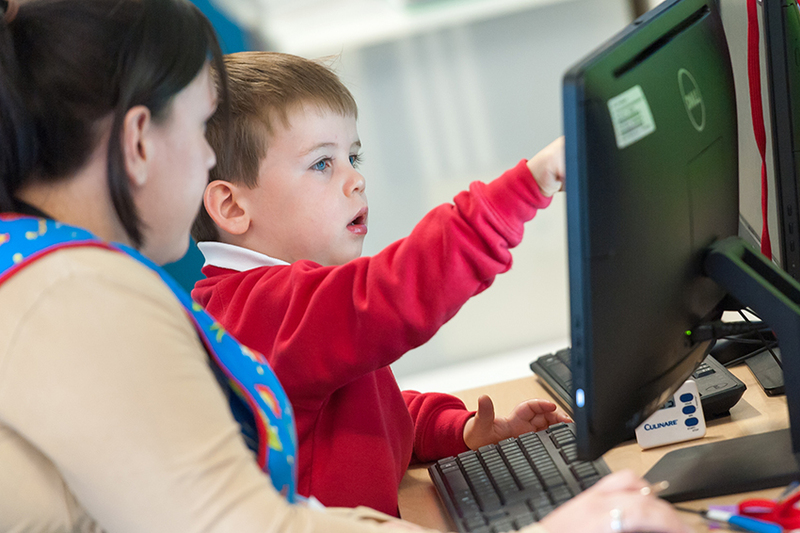 We then completed a range of activities to help us consolidate our learning. 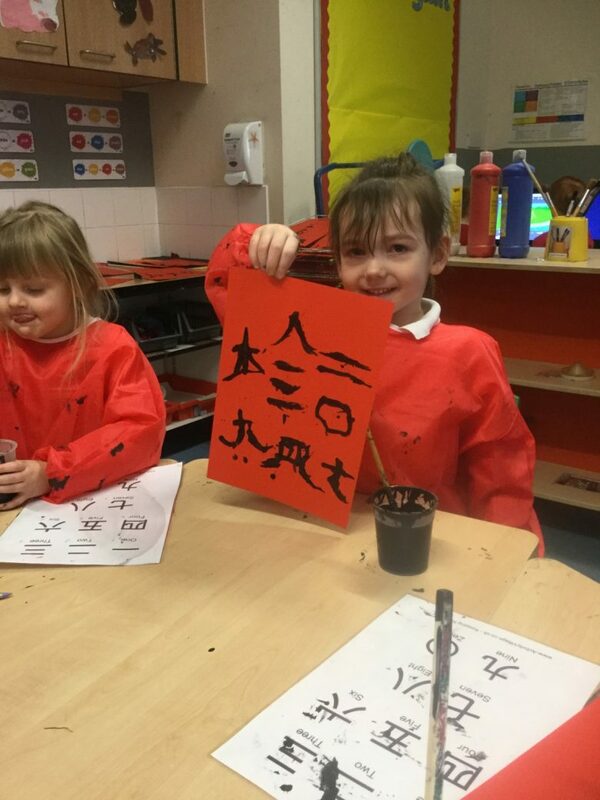 Our homework was also linked to Chinese New Year. 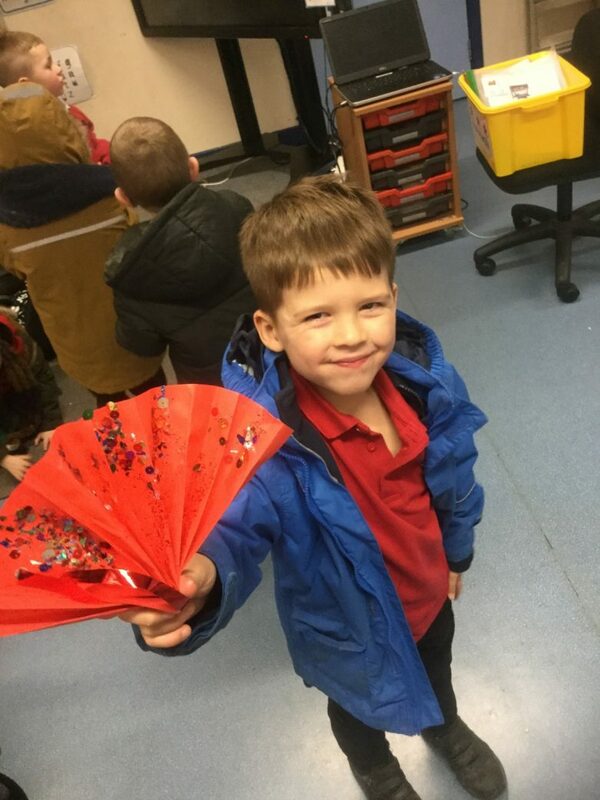 Lots of us researched the celebration online and some of us were lucky enough to visit Stowell Street and take part in the weekend celebrations in the centre of Newcastle. 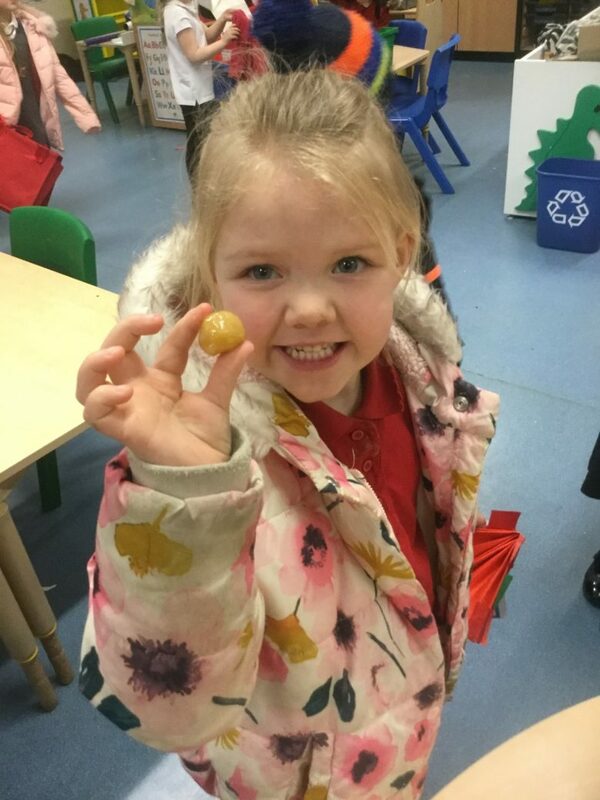 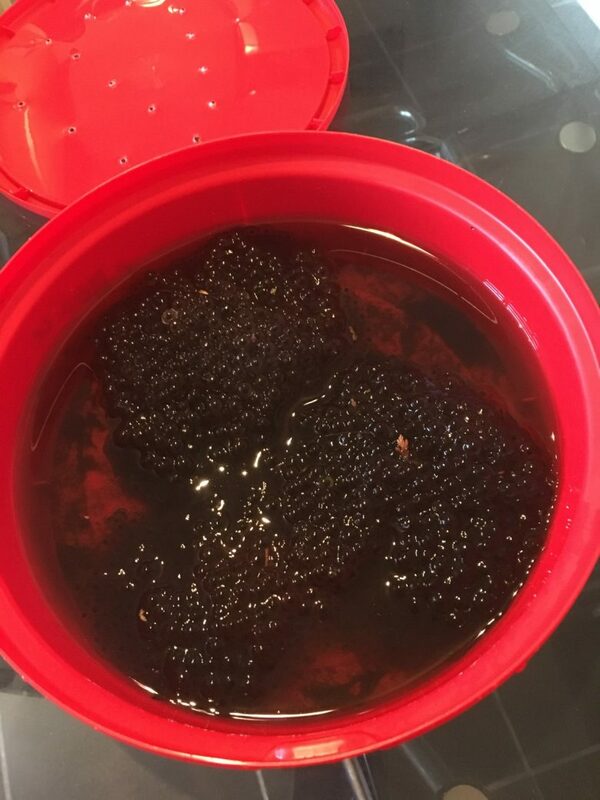 During the half-term break, Miss Ames visited her Dad’s garden and found some frogspawn in the pond. 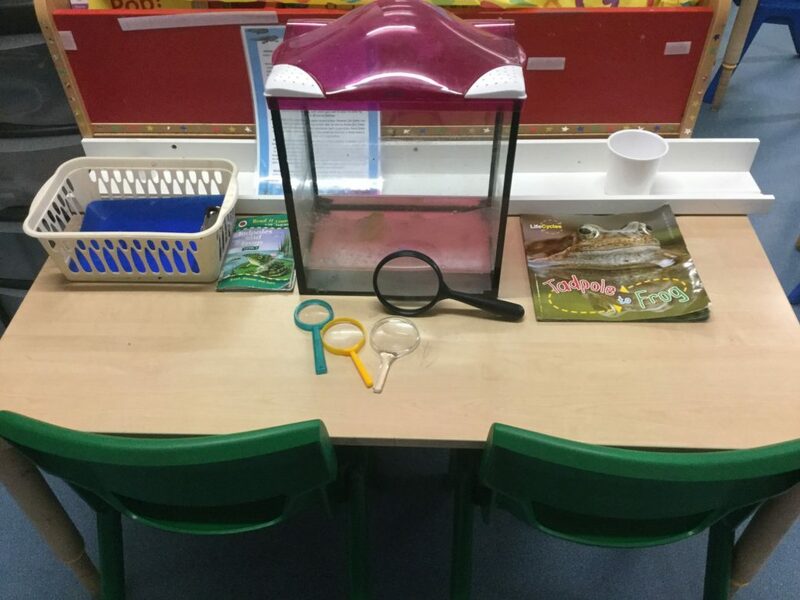 She brought it to school, along with an old fish tank and set it up on an investigation table. 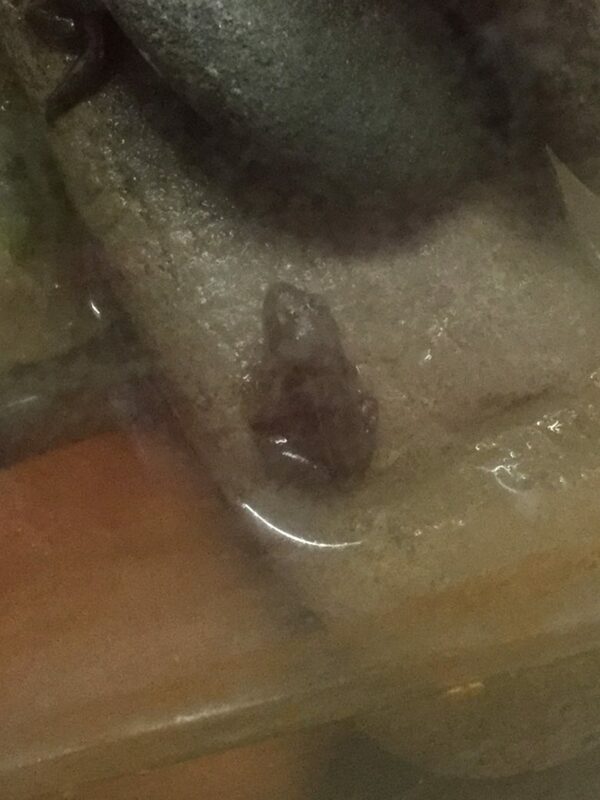 We watched closely for a few days and then the tadpoles began to hatch out from the eggs. 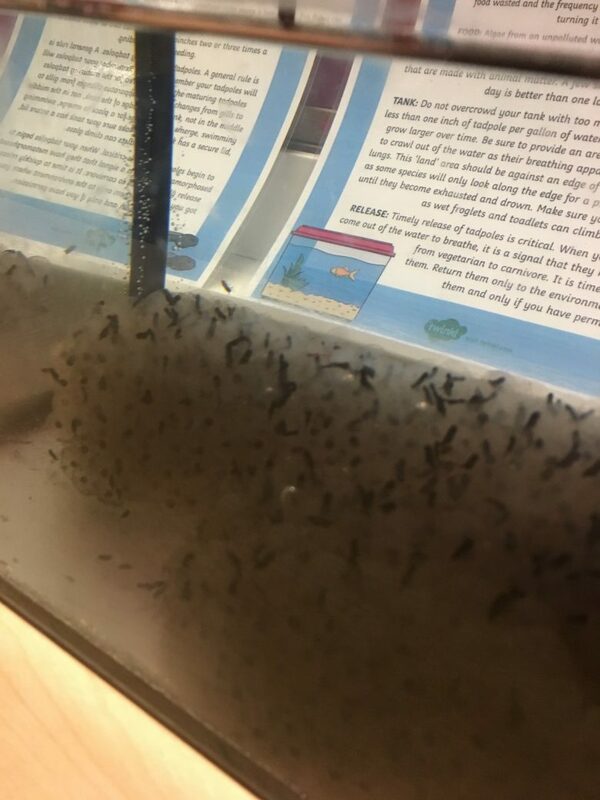 Unfortunately, some of the tadpoles did not survive and Miss Ames also took some back to the pond to avoid overcrowding in the tank. 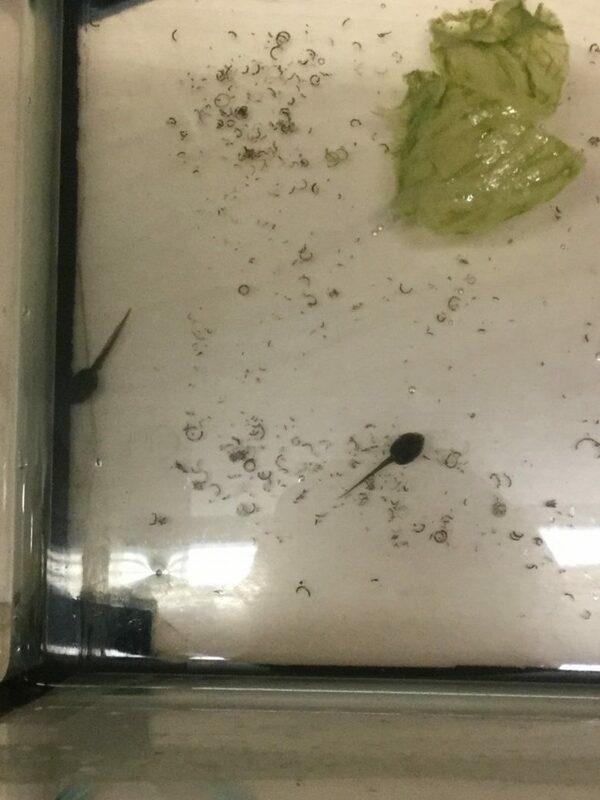 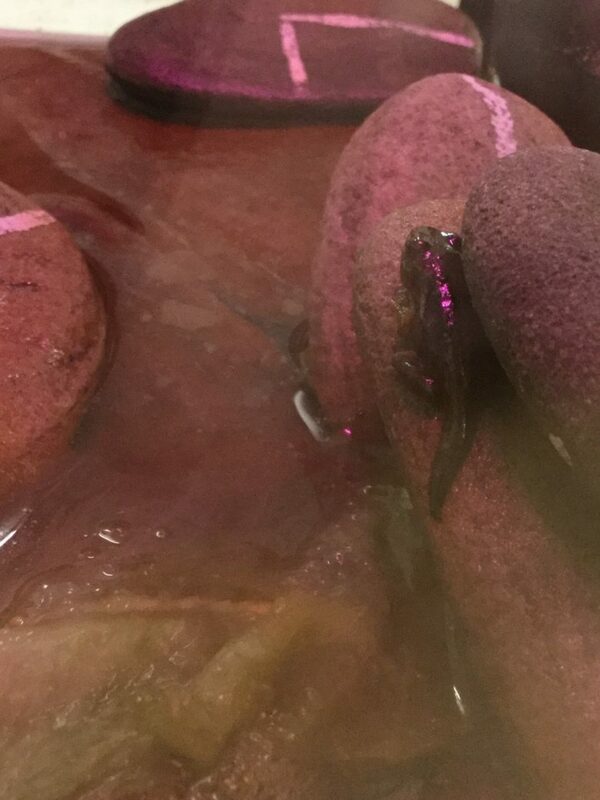 We now have two healthy tadpoles in our tank and having done some research, we have found that they love lettuce to eat! 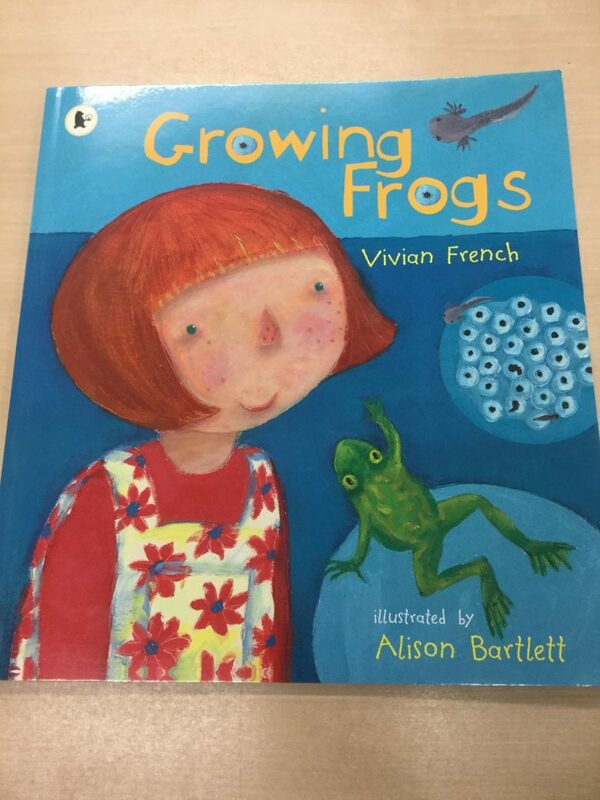 We have also read some books to enable us to find out about the changes that our tadpoles are going to go through over the next few weeks. 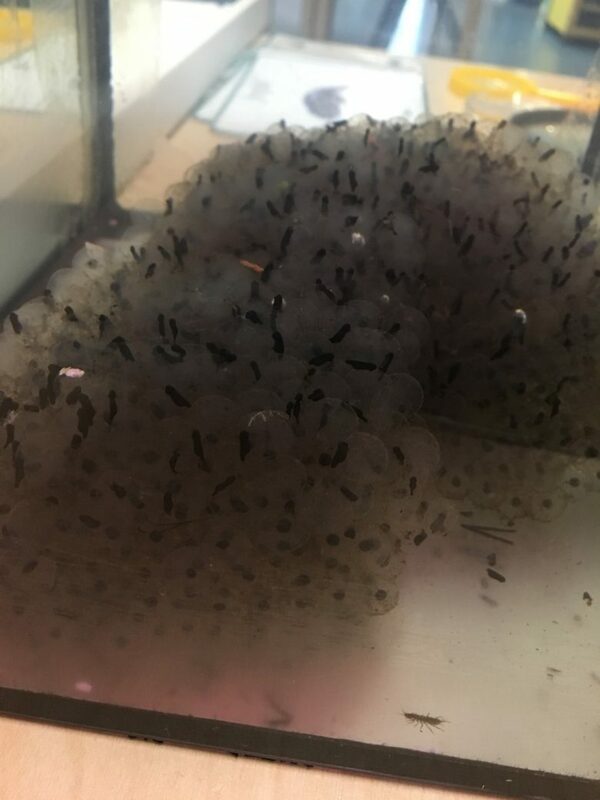 We are very excited to observe them and see what happens! 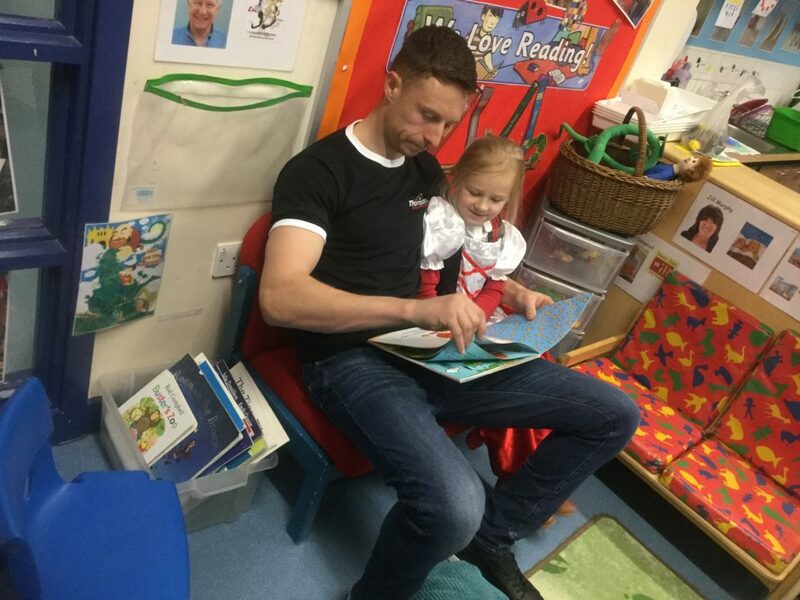 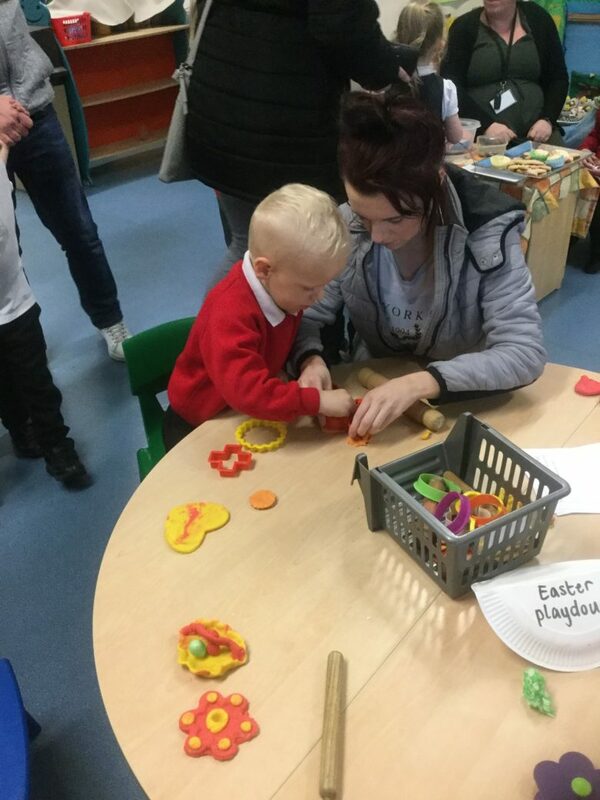 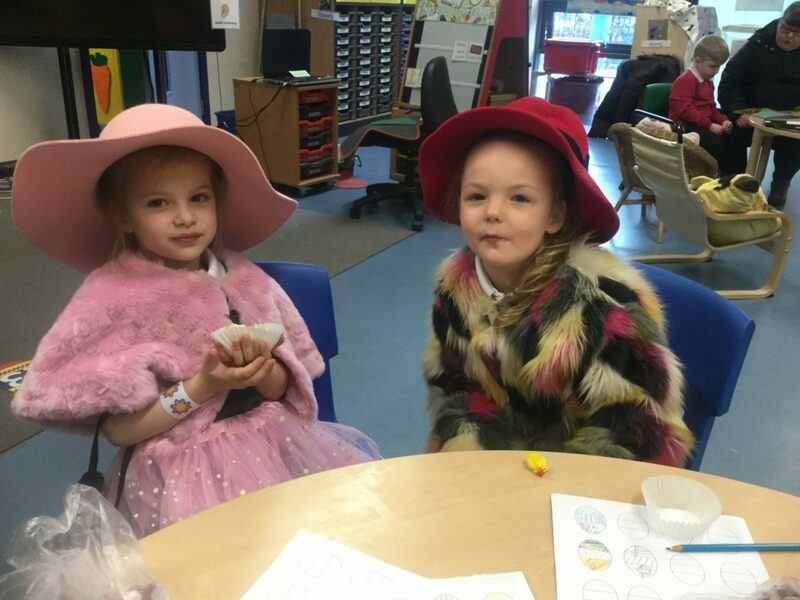 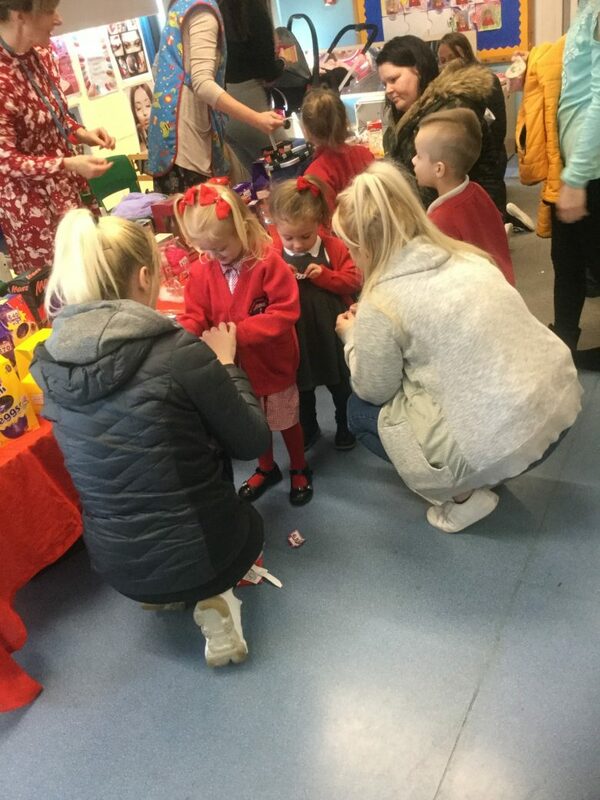 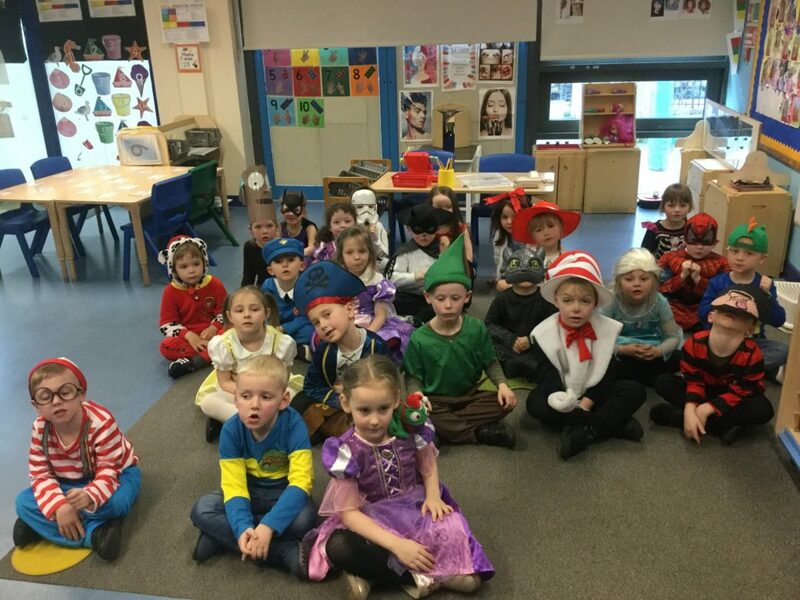 This week we celebrated World Book Day with the rest of the school. 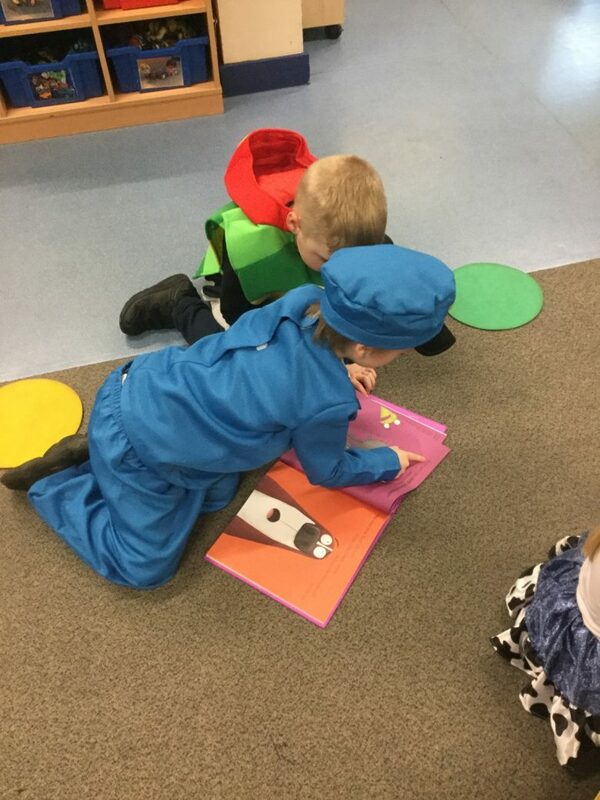 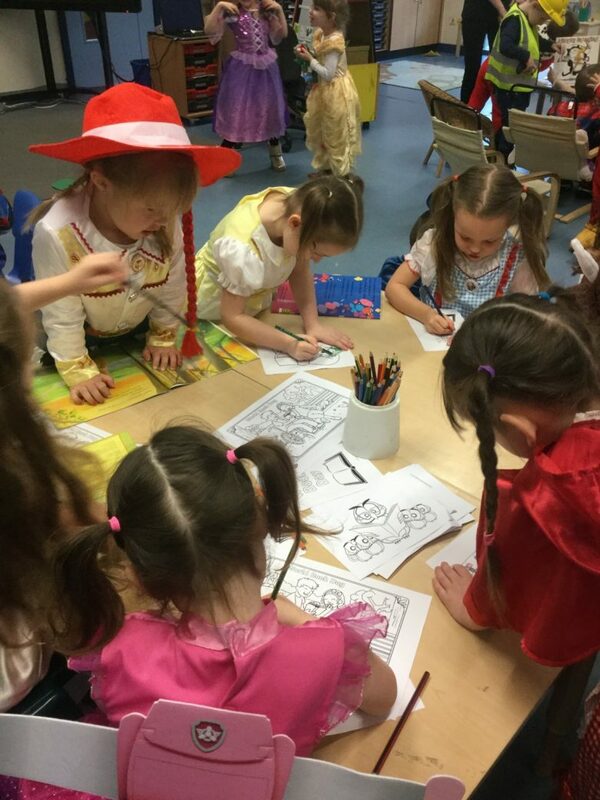 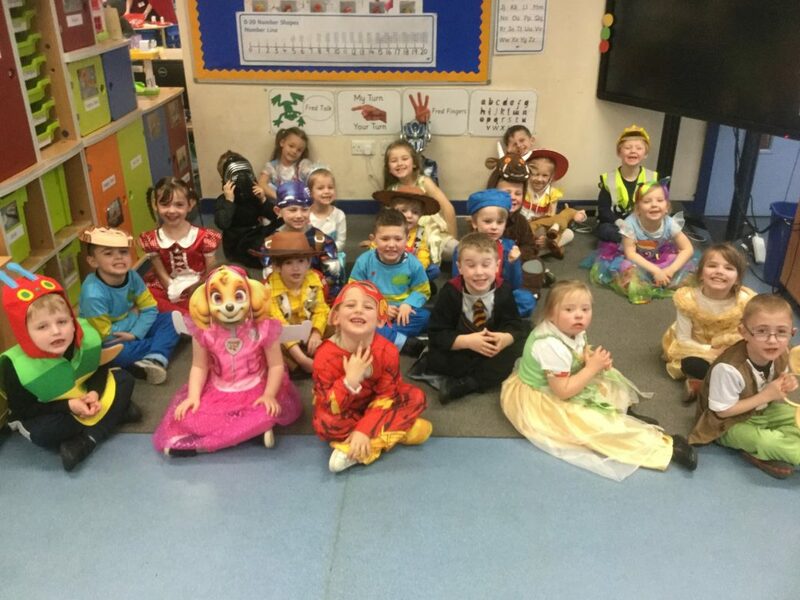 We were invited to dress up as a book character – our costumes were fantastic! 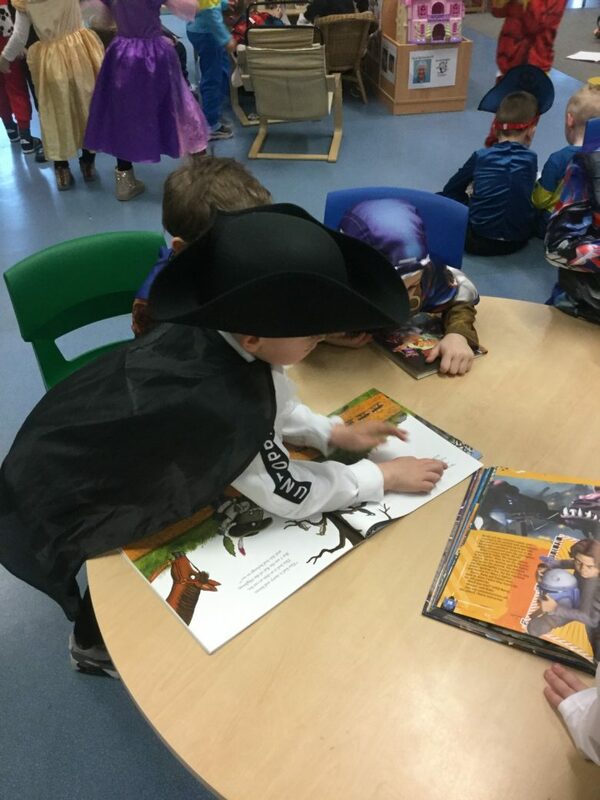 The theme this year was ‘Share a Story’. 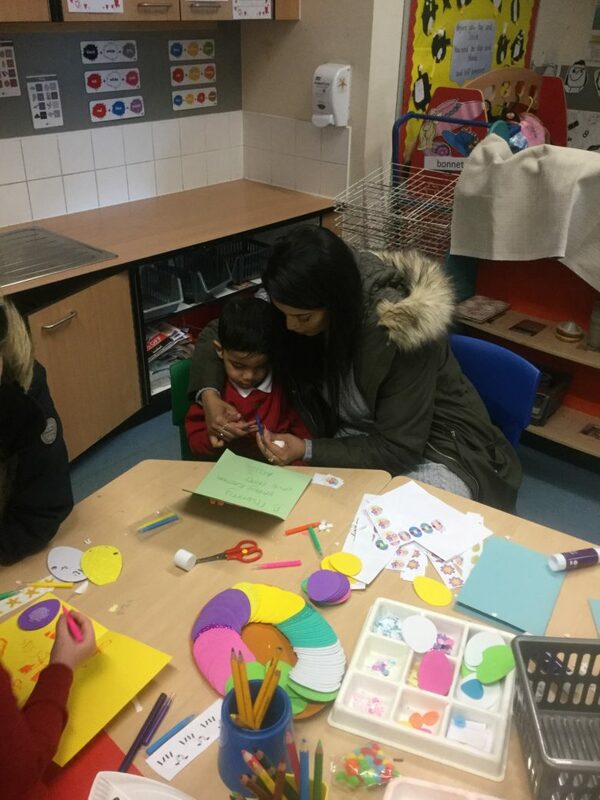 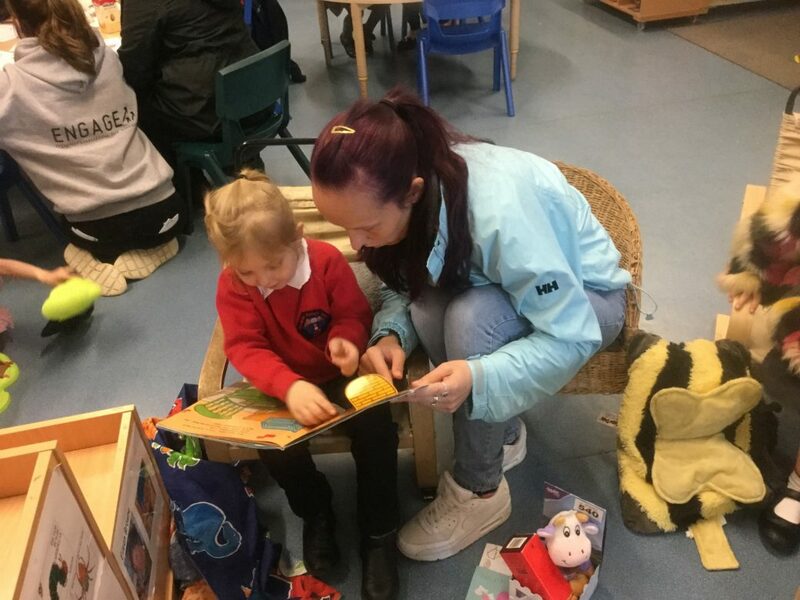 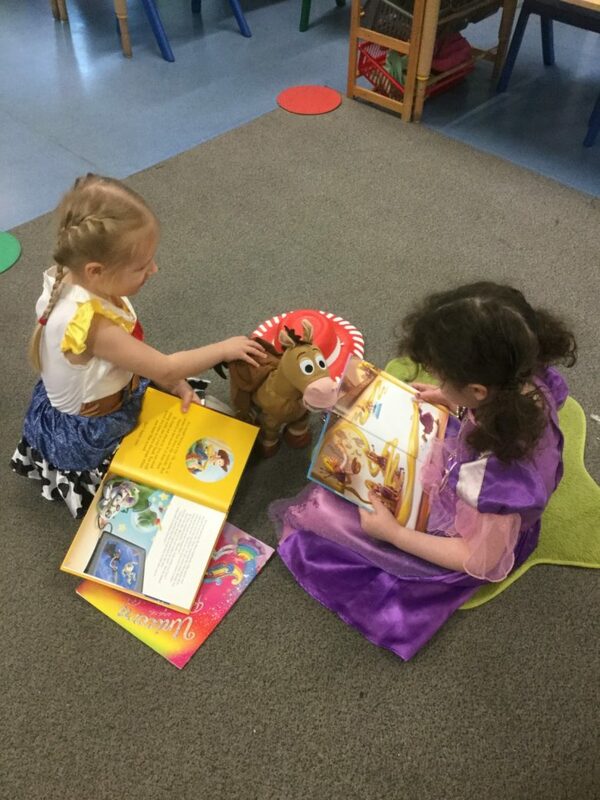 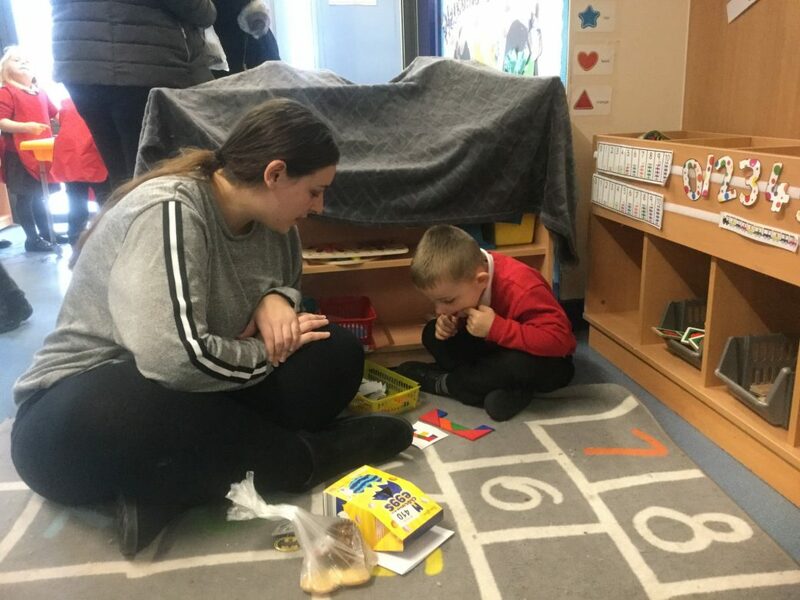 Some children brought in their favourite story to read with a friend. 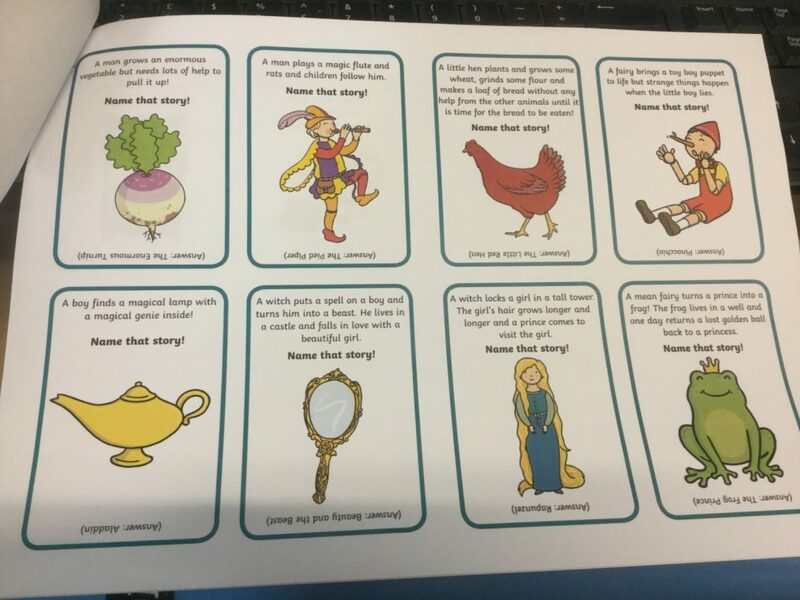 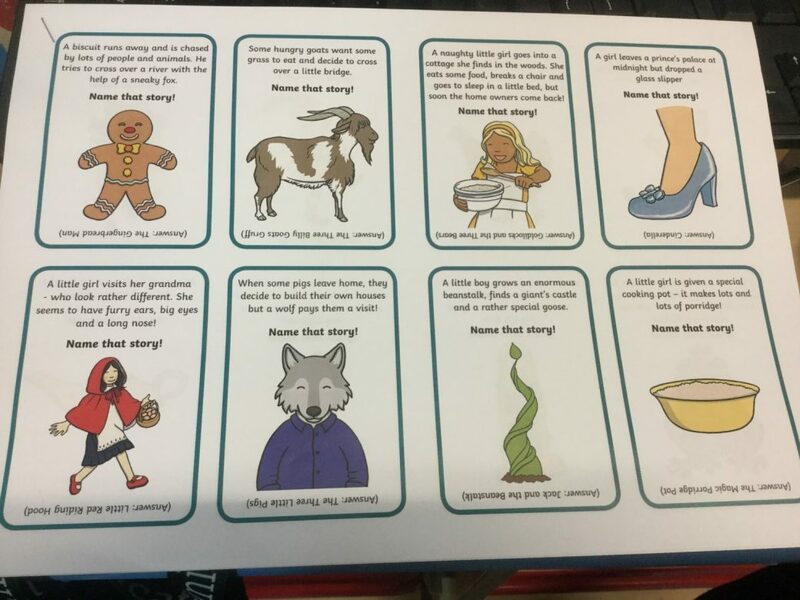 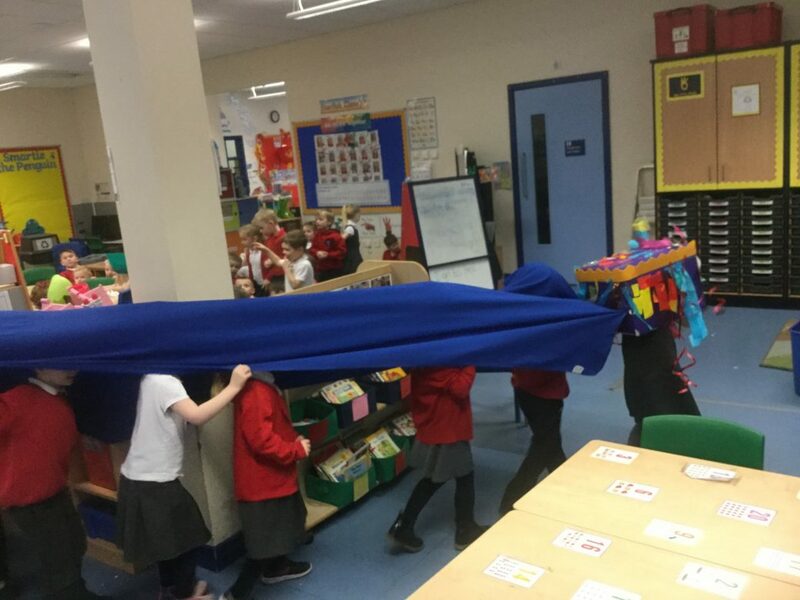 We also played a game called ‘Name that story!’ where we had to listen carefully to clues and then try to guess the story that was being described. 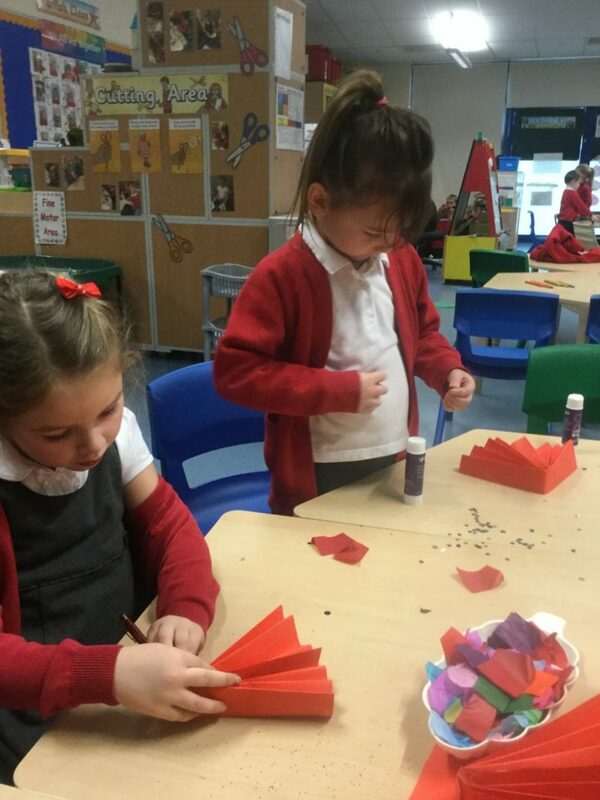 Finally, we made bookmarks and designed our own book front covers.